Dads come in every shape and size in children’s books, from beardy to bald, furry to feathered. They might not all be superheroes but what they have in common is their fierce love for their babies, cubs and chicks. Sharing a bedtime story is a great way for fathers and children to bond and reading these dad-themed picture books will reinforce that special relationship. Don’t just save them for Father’s Day though – enjoy year-round. This delightful tale about a parent’s fierce and limitless love for his child is told with much humour and some chic illustrations. Fretful Matty is worried how his father will collect him from nursery if the old green car doesn’t start. But his devoted daddy details all the weird and wonderful ways he’ll reach him, involving dragons, a flock of birds, tractors and some seriously long legs. A warm and reassuring read that is especially good for little ones with separation anxiety. This beautiful first concepts book is one that even the youngest of readers will adore flicking through. 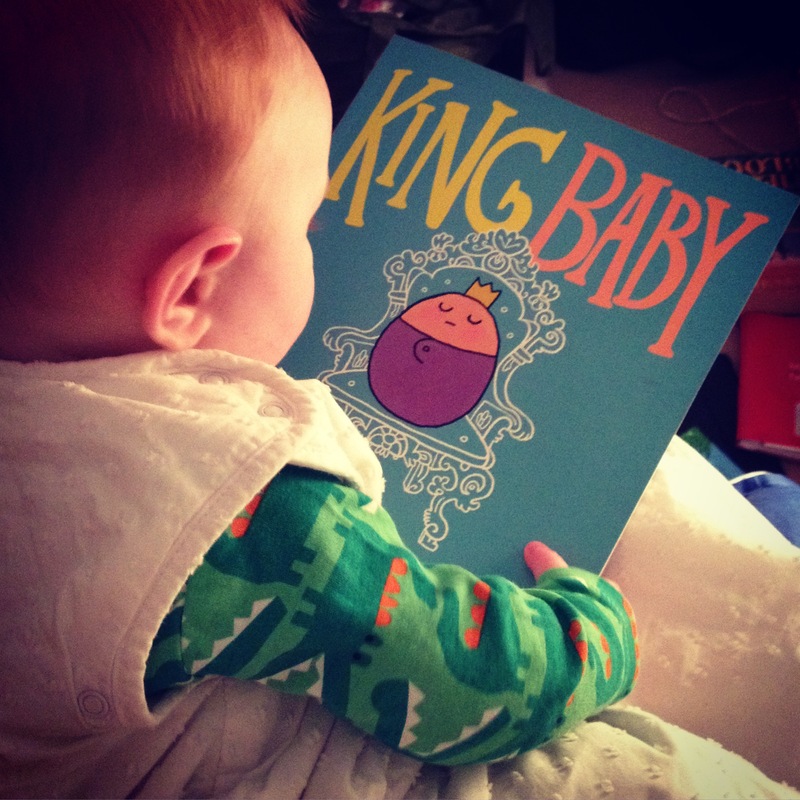 Baby Bookworm absolutely loves it. It follows the baby and his family through a normal day, from breakfast and getting dressed to playing and going to bed. The papercut illustrations by award-winning designer Alice Melvin are incredible to look at and make the characters really jump off the page. But what’s just lovely is the very normal stay-at-home dad who drops the big sister at school, hangs up the washing and makes the dinner while goes out. The last thing a devoted dad needs is a bout of insomnia. But to quote the Faithless song, Mr Bear can’t get no sleep – and to make matters worse, Mrs Bear is snoring like a drain. The poor papa ends up trailing from room to room to garden, avoiding ticking clocks and buzzing appliances, desperate to get peace at last. This Jill Murphy classic is both funny and relatable, with lovely dialogue, lots of great sound effects and the cuddliest family of bears that you’ll just want to snuggle up in bed with. One of our go-to books! Noi lives with his dad and their six cats beside the sea and is often left alone while his dad works as a fisherman. When a little whale washes up on the shore after a storm, lonely Noi rescue and brings it home, keeping it hidden from his dad. This award-winning story is beautifully done and we love the strong relationship between boy and father, as demonstrated in the touching wintery follow-up. In this book, the brave child gets in trouble trying to find his dad and it is time for the whale to save the him. I bought this book for a bit of a joke when Baby Bookworm was still quite small. His dad had been laughing about how he used to be one of York’s top music acts, selling out venues like Fibbers (York people will understand this), and now he was entertaining a baby with silly ditties about breastfeeding and going to bed early. Keith Negley captures this sense of how fatherhood change to your life really beautifully. The little boy ponders over why his dad is no longer the cutting edge rocker he used to be and in the process discovers that he is still quite cool after all. Well, most of the time. What is completely cool however is the bold, graphic artwork. This is a visually striking book that design-conscious parents will very much appreciate. Being apart from a loved one at Christmas is at the subject of this striking story, where heroine Mia boards a mysterious reindeer and travels across snowy mountains and beautiful cities to deliver her card to Daddy. The folksy festive artwork and clever lift-the-flaps peep-through-pages add to the charm of this really touching book that teaches how you can still feel someone’s love without being together. With their concentric cut outs, bright colours and rhyming text, this range of first board books is a favourite of Baby Bookworm’s. This particular title celebrates all the fun and thoughtful things dads do for their children – and why each one deserves a gold star. It’s really sweet and the finger holes are great for curious little hands, while the sturdy pages are easy to turn. There’s a brilliant wit running through this tale of a quite ordinary dad who turns out to be a caped crusader – in his child’s eyes, at least. Joe Berger’s illustrations of a scruffy-haired, bespectacled father in a sensible M&S jumper are fabulously tongue-in-cheek, as he cooks a messy breakfast in a superhero pinny and bravely builds a tree house despite hitting his thumb with a hammer. The rhyming text is amusing and has a nice flow too, making it easy to read again and again. This debut picture book by Lucy Freegard is charming, loving and full of reassurance for children. The racoon and his dad have lots of adventures together, from going on rollercoasters to the simply daily bedtime story (with lots of silly voices). But the overriding message is that while Daddy is strong and dependable, he is also silly and kind – and loves his child very much. There’s also a subtle message in there for parents about remembering what it feels like to be little and embracing your inner child from time to time. Stick Man by Julia Donaldson and Axel Scheffler. £6.99 (board book), Alison Green Books. The humble stick is elevated to a literary action hero dad in this joyous and smart rhyming tale by the children’s book dream team. In a plot that’s like a mash up of Planes, Trains and Automobiles and Home Alone, Stick Man must overcome and avoid danger and death, travelling far and wide to try and get back to his Stick Lady Love and their stick children three. All the things that make fathers so special are at the heart of this uplifting book. From playing horsey to stealing a bite of baby’s lunch, he’s strong, silly and totally on your side. We especially like how normal this dad looks, with his slightly dishevelled blonde hair and goofy grin. He’s the sort of guy you see larking about in the playground on a Saturday or dressed up in a character costume at a first birthday party. Emma Dodd’s bright illustrations really convey that energy and are a perfect partner for Giles Andreae’s succinct rhyming text. Sometimes the best adventures are the ones that you don’t plan. It’s a lesson that Raj’s dad has to teach him when their day out together goes a little awry in this new book. Dad forgets his wallet, meaning they can’t borrow any books from the library, visit the city farm or catch the bus. Thank goodness they packed their superhero capes, their imaginations and their sense of discovery. And as the charming artworks shows, their day will always be sunny when they have each other.